Periodontal disease–or gum disease–is one of the most common diseases your cat might suffer from. 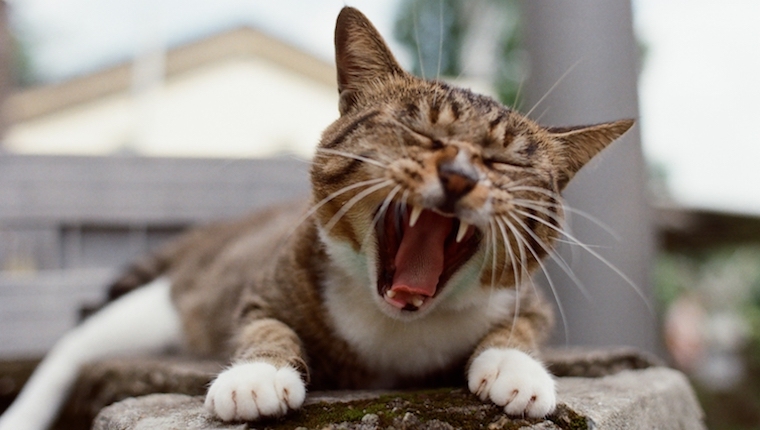 About 70 percent of cats over the age of three have some form of oral disease. 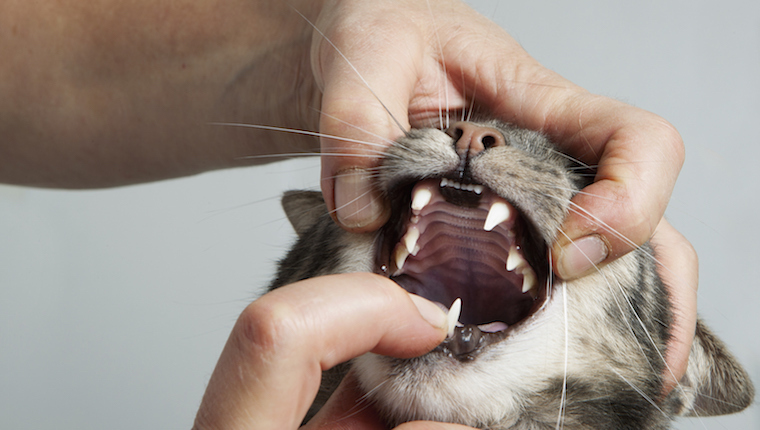 Poor dental health can affect your cat’s overall health, too. Plaque that builds up in the mouth can enter the blood stream and contribute to liver or kidney disease, among other conditions. 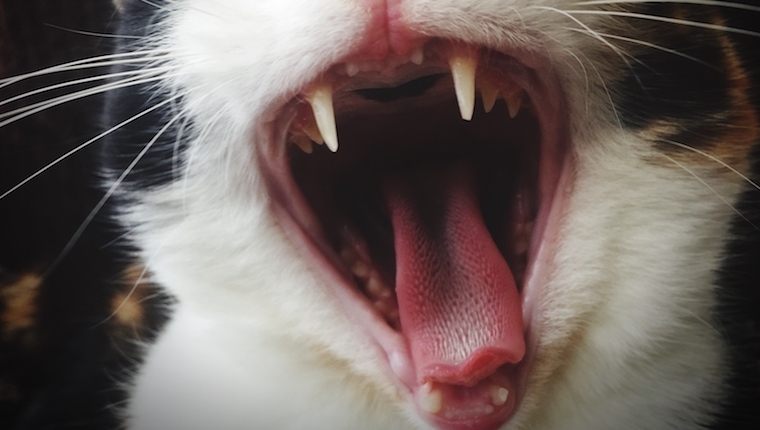 That’s why you should take periodontal disease–and your cat’s oral health–very seriously. Here’s what you need to know about identifying, treating, and preventing periodontal disease in cats. Simply put, periodontal disease happens when bits of food and bacteria build up along a cat’s gum line, form plaque, and then turn into something called calculus. After this, inflammation can occur, which in turn can bring about gingivitis. You can recognize gingivitis by a cat’s gums becoming redder below the teeth. How Bad Can Periodontal Disease Get? If early periodontal disease goes untreated, accumulated calculus can end up separating teeth from the gums, which opens up a pocket of space where icky bacteria can form and grow. The next stage is more graphic: A cat might suffer from pus pockets, deteriorating tissue, and even bone loss. How Can I Catch Periodontal Disease Early? Generally, be on the look out for signs of gingivitis in your cat. Be alert for unusually red gums, or even any indications that gums and teeth are slowly separating. Always ask your vet to check for periodontal disease warnings during your cat’s yearly wellness check up. The best way to catch periodontal disease early is to have a professional veterinarian examine your cat. They can catch symptoms you miss and prescribe treatment and preventative care. If your vet thinks that your cat might be suffering from periodontal disease, they will usually order an X-ray. This is because many of the potentially serious signs can only be detected deep below the cat’s gum line. If you catch your cat’s gum disease early, your vet will likely recommend steps to get the plaque under control and decrease the likelihood of any further tooth and gum attachment loss. The vet may prescribe special toothpastes formulated for felines, along with daily brushing, plus possibly some vet-approved fluoride treatment. If your cat is experiencing more severe periodontal disease–often called stage two or three in veterinary terms–then a deeper clean between the gums and teeth could be suggested. The use of antibiotic gels can also help restore the gap between teeth and gums. In severe cases, your cat might need procedures to regenerate tissue or even bone replacements. Spotting the symptoms early is key. If you’re particularly worried about gum disease and your cat, ask your vet to recommend a safe regular oral hygiene regimen. Your vet may advise you to start brushing your cat’s teeth, or they may recommend a change in diet. You should ask your veterinarian about formulating an appropriate diet for your cat’s oral health. They may recommend you switch foods or replace your cat’s regular treats with dental treats. Your vet may also give you instructions for brushing or other at-home preventative care. 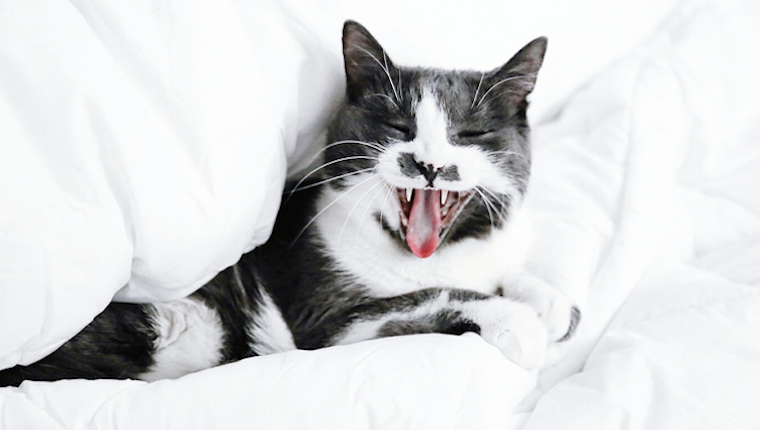 Has your cat experienced periodontal disease? 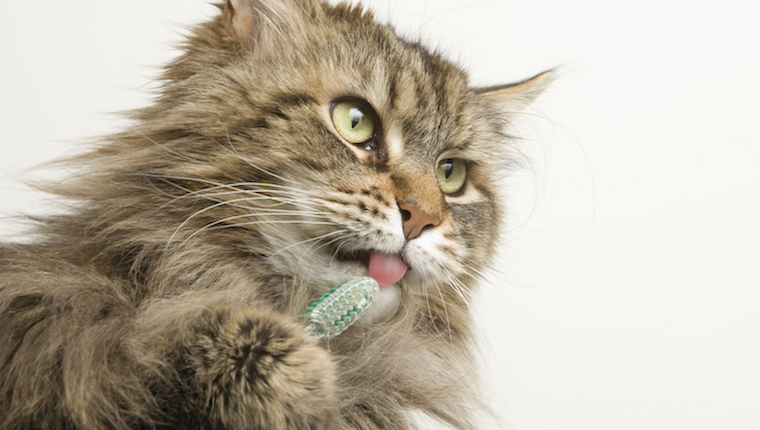 Do you regularly check and brush your cat’s teeth? Share your experiences in the comments below!